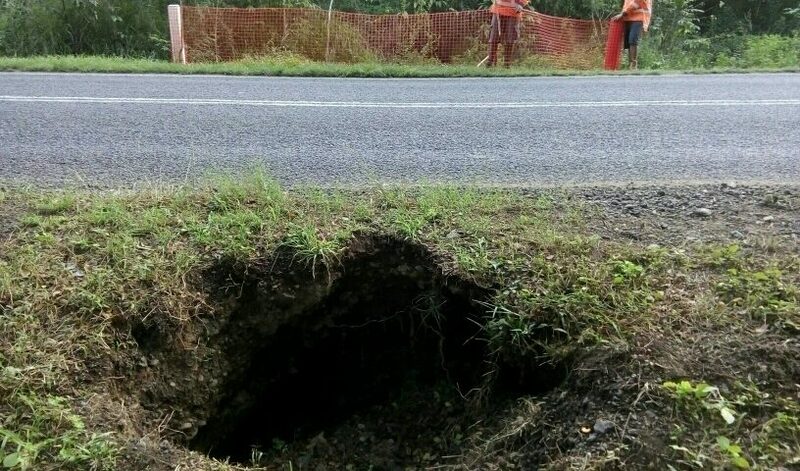 Fiji Roads Authority (FRA) would like to advise members of the public that a section of Queens Road near Bavu Village has been reduced to a single lane due to a sink hole. – Near Bavu Village along Queens Road between Lomawai Road (leads to Momi Bay) and Bavu Road (road leads to Bavu Village). – It is approx. 20.57km from Nadi Town (Temple Roundabout), if travelling towards Suva from Nadi. For the safety of the travelling public, we have reduced traffic to a single lane. FRA engineers and contractors are currently on site managing traffic.